Movement. 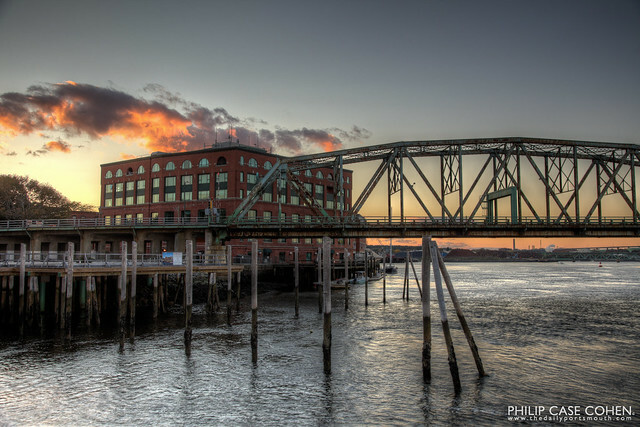 Time brings motion and in this image, the rushing tide of the Piscataqua River flows past Harbour Place and beneath the Memorial Bridge. 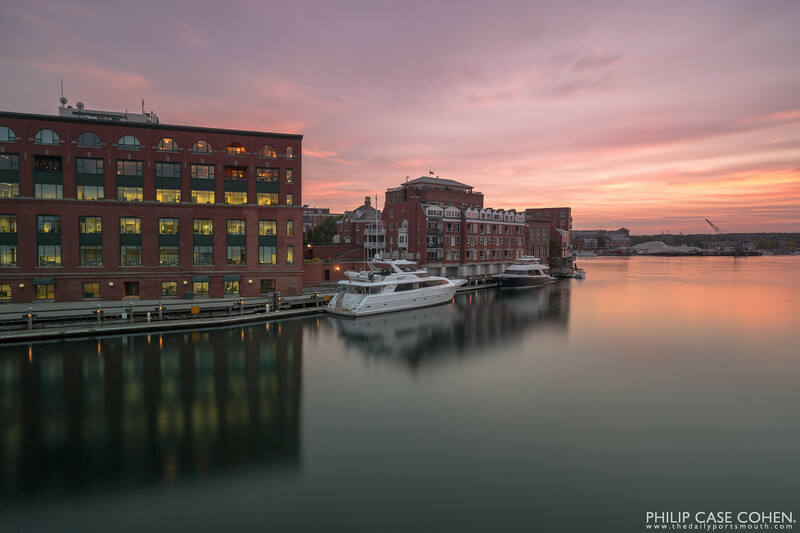 Portsmouth is full of hidden gem locations, and you never know what view might be lurking around the corner from some of the downtown spots. 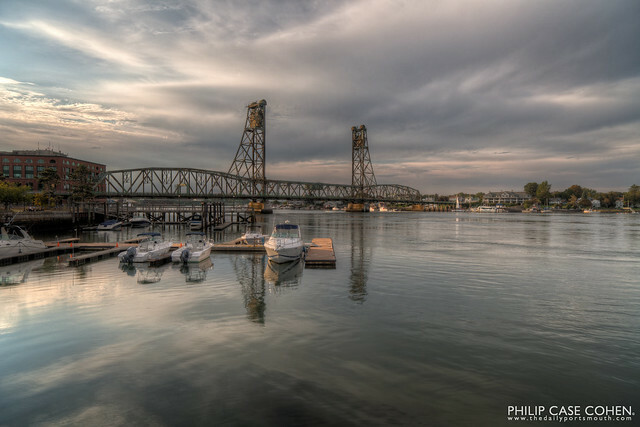 Harbour Place and The Memorial Bridge of Portsmouth and Kittery can be seen from the roof deck of a nearby home along the waterfront on Bow Street. 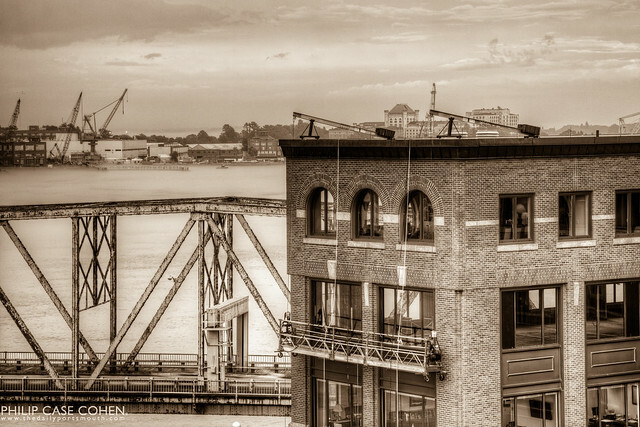 This view is a bit different these days…but the shipyard and the Naval Prison are still clearly visible in the background, with the Piscataqua River flowing through the frame. 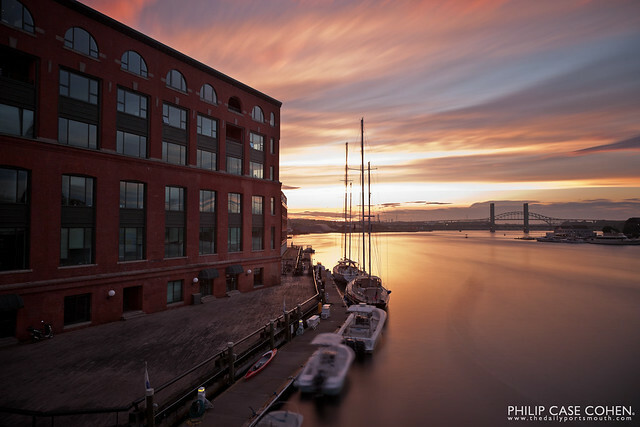 It’s quiet now, but the dock at Harbour Place on the waterfront of the Piscataqua can be host to some impressive boats during the warmer months. I was walking around to scope out the latest updates on the deconstruction of the Memorial Bridge when I admired the lighting in the scene you see above. The rich red brick against the wooden floorboardss were inviting, along with the depth conveyed in the shadows. I love all of the hidden gem spots in Portsmouth. One of my favorite vantage points to shoot from on a late summer evening was the walkway of the Memorial Bridge. 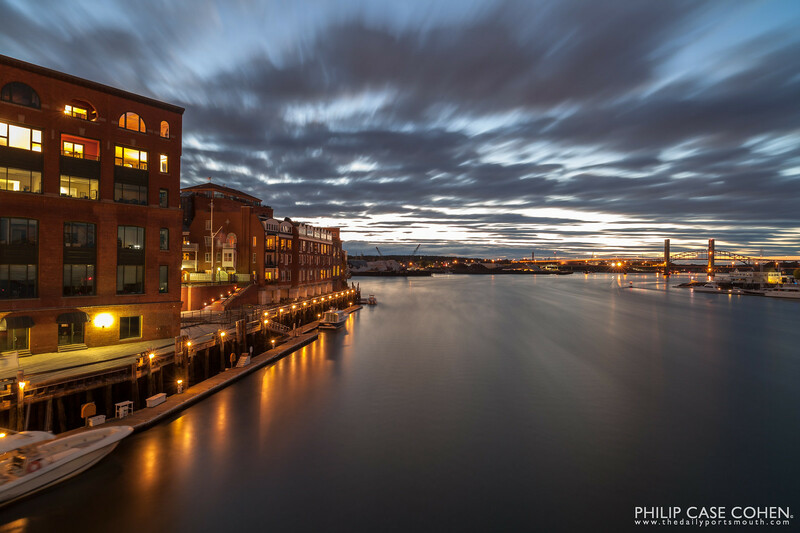 This long exposure provides a glimpse of a couple minutes of the last day’s light as the sun sinks on the horizon behind Harbour Place. The clouds hovering over Harbour Place on the waterfront made it look like the building was on fire, so of course I had to snap a few shots.